Gauloises. Just saying the name makes one think of sophisticated, elegant France, the country where Gauloises cigarettes were born over a century ago. Gauloises is the most famous French brand of cigarettes in the world, and in the many years they have been around, these high-quality cigarettes with their unique flavor have gained wide popularity in many countries. Even today, it is hard to find a smoker who hasn't heard of Gauloises. Now, you too can experience the elegance and smoothness of this cigarette. 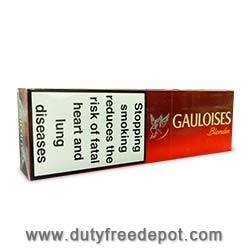 Gauloises cigarettes can be found on Duty Free Depot at cheap prices. Just pick your favorite type of Gauloises and order: Gauloises Blondes Blue, Gauloises Blondes Red, Gauloises Blondes Yellow, Gauloises Brunes Non Filter and more. Duty Free Depot is an online shop for tobacco products like cigars and cigarettes, as well as lighters, spirits, e-cigarettes and various smoking accessories. The shop prides itself on being the cheapest shop for tobacco products online, and indeed – it offers many types and flavors of cigars and cigarettes such as Gauloises Cigarettes at extremely low prices. An added bonus is that the larger quantity you buy, the less you pay for each individual item. It's time to stock up on your favorite brand of cigarettes! Get them in packets, boxes or cartons – you will get an excellent deal in any case. Plus, it is worthwhile to check the website regularly – since Duty Free Depot occasionally offers special deals and limited-time coupons. Duty Free Depot is a great place to purchase your tobacco products for various reasons. The prices are the cheapest you will find anywhere. The products are of high quality. 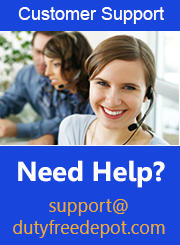 The website and its representatives are highly reliable and easy to reach with a great customer service. In addition, delivery to anywhere in the world, USA or abroad – Duty Free Depot offers worldwide shipping. What are you waiting for? Order your cigarettes today!